About twenty years ago, I married a man who happened to be a full-time pastor. I didn’t think much at the time about being a “pastor’s wife,” but as the t-shirt says…here I am rockin it! My husband told me I would have certain precedents to set, he would back me in my decisions regarding our life with the church. This didn’t really seem likely to affect me much at the time of our wedding. My experience and expectation of a wife was about to change! Shortly after, the church secretary commented to me an event was coming up I ‘should’ attend, to help make it successful. No pressure there. Another time, something questionable happened onstage during the service, and I glanced at my husband beside me. Later, someone came up to my husband to question him about this event and said “even your wife thought it was questionable, I saw the way she looked at you.” That was my first realization I was being watched. Let me back up a little and tell you I am not “your typical pastor’s wife.” We’re a blended family, I’ve been divorced. I didn’t attend Christian college; I don’t play piano; I sing only in the shower; I am not involved nursery or children’s ministry. Although I was raised in church, I strayed in my early 20’s and came back with a lot of life lessons and scars. I had no idea what the expectations of our church family would be when we married. We blended four children and two wounded people. A lot had happened to us in a very short time and all we could think of was keeping our marriage and children together. All of our hearts were healing, and I had no idea the church family was watching. 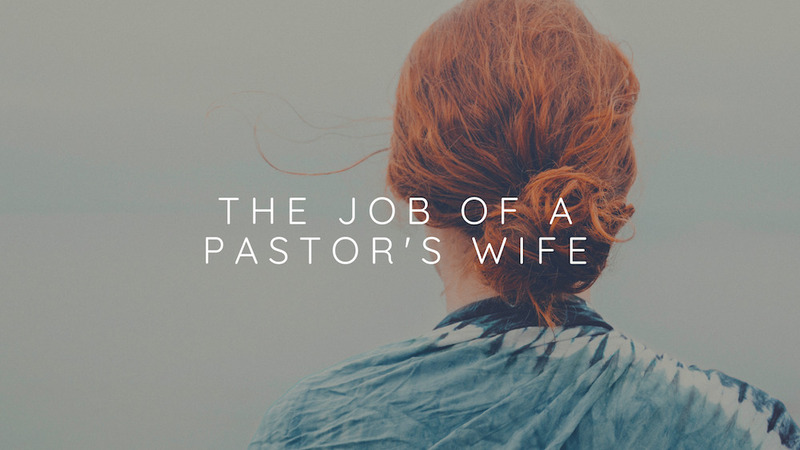 While attending a Bible study at the home of a very wise friend in our first year., she and I straightened the kitchen, I asked her, “what do you think my job is as the pastor’s wife?” She smiled and said, “Honey, your job as the pastor’s wife is to keep the pastor happy. If you do that, it frees him to do what the Lord has for him to do.” From that point, every decision I made was based on God first, then my husband, then our children, then the church. That truth stands.